Skyharbour Resources (TSX-V: SYH) would like to bring to your attention three Athabasca Basin news releases issued yesterday by: International Enexco (TSX-V: IEC) and Cameco (TSX: CCO), Purepoint Uranium, and Fission Uranium (TSX-V: FCU). Links to these news release can be found below. These announcements represent significant developments and discoveries in areas of the Basin that Skyharbour is actively exploring and has projects in. This discovery on the adjacent property to Skyharbour's Mann Lake Project is a significant development in the area and highlights the geological prospectivity of the region. Skyharbour's Mann Lake Project has seen over $4 million of previous exploration expenditures including recent geophysics and two diamond drill programs totaling 5,400 metres carried out in 2006 and 2008. The geophysical surveys identified basement conductors and structural corridors containing reactivated basement faults. These features trend onto the adjacent ground held by Cameco. Skyharbour and its Syndicate partners maintain one of the most dominant land packages in the Patterson Lake area including the flagship Preston Lake project in which over $2 million in exploration has been carried out to date with a diamond drill program slated to commence shortly. 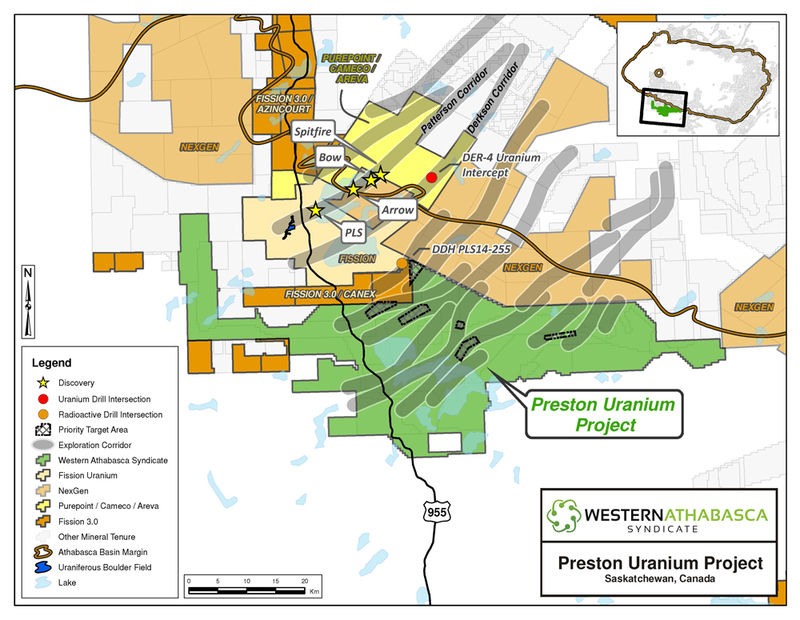 Skyharbour Resources Ltd. is a uranium exploration company and a member of the Western Athabasca Syndicate which controls a large, geologically prospective land package consisting of five properties (287,130 hectares or 709,513 acres) in the Athabasca Basin of Saskatchewan. $6,000,000 in combined exploration expenditures over the next two years is planned on these properties, $5,000,000 of which is being funded by the three partner companies. 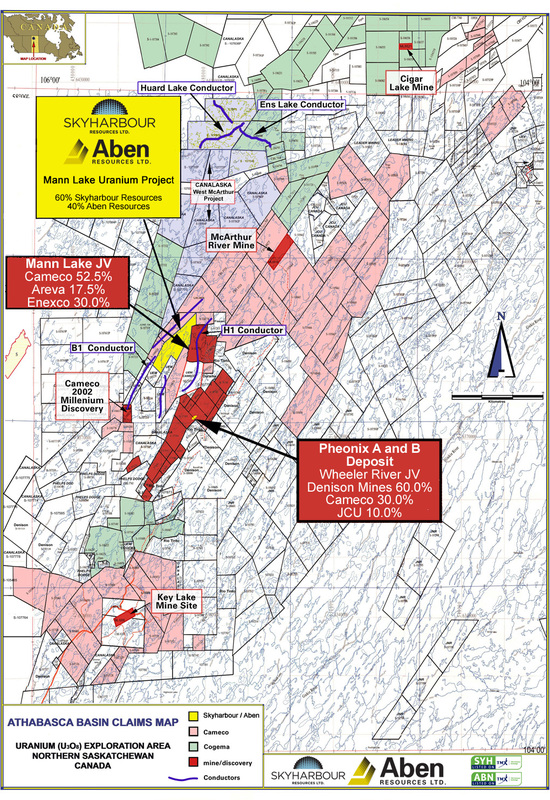 Skyharbour also owns a 60% interest in the Mann Lake Uranium project on the east side of the Basin strategically located 25 km southwest of Cameco's McArthur River Mine. The Company has 44.6 million shares outstanding with insiders owning over 25% of the outstanding shares. Skyharbour's goal is to maximize shareholder value through new mineral discoveries, committed long-term partnerships, and the advancement of exploration projects in geopolitically favourable jurisdictions.